If you’re not already following Micah Gianneli on Instagram, you’ve got to check out her page, which is filled with unapologetically fierce looks. Undoubtedly cool and fearless with her styling choices, Micah’s confidence shines through in every picture she posts. I love the confidence of Micah’s style, and her original outfit choices. She dresses with such flair. Your portrait of her is absolutely stunning Mikayla. 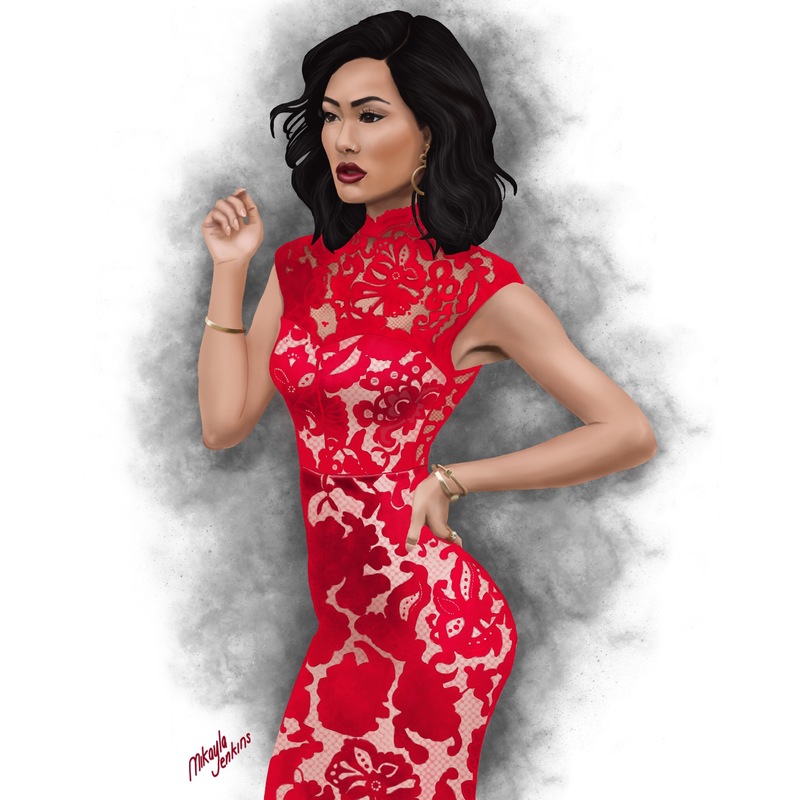 It really is a true likeness, and you’ve captured the texture of the red lace material so beautifully. Thank you so much, Saba! Micah has this swagger that comes through in all of her pics, so I really wanted to capture it in this drawing. That’s so beautiful!! I’ve been following Micah on IG for the past years and her style is so daring but amazing! An I love how you captured this into a beautiful illustration!! Has she seen this already? Thanks so much, Jey. I don’t think she has seen it yet. You should tag her on IG! !